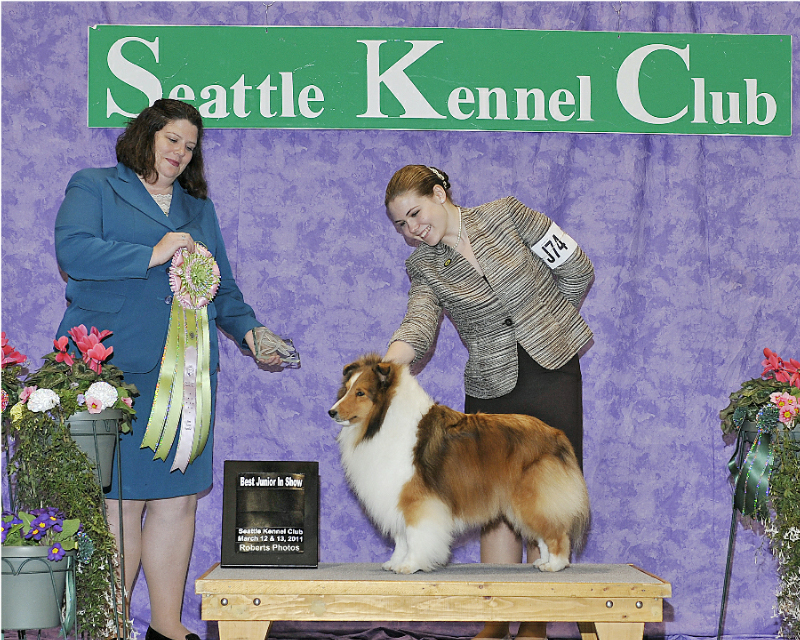 Come see the top show dog handlers of the future compete in Seattle Kennel Club’s Juniors Competition. Each day, we will feature talented youngsters competing for the prize of top Junior Handler. Junior Showmanship classes are non-regular classes which are judged solely on the ability and skill of Juniors in handling their dogs as in the breed ring. Junior Showmanship Competition is a way for youngsters to participate in the sport of dogs and provides Juniors with a meaningful competition in which they can learn, practice and improve in all areas of handling skill and sportsmanship. Junior Showmanship classes are open to youngsters from 9 to 18 years of age and are divided in Novice and Open classes: All participants in these classes must have an AKC Junior Showmanship Handler Number. Novice classes are for those youngsters who, at the time entries close, have not won three (3) first-place awards in a Novice class at a licensed or member show. To qualify as a win, more than one child must be in competition in a class. The Novice class gives those children who are beginners a chance to gain experience and confidence apart from the more seasoned youngsters. Open classes are for those children having three or more first-place wins; these are the more experienced Junior Handlers. A beginner can learn how to present their dog more effectively by watching these talented youngsters in the ring. Junior: At least 9 years of age but less than 12 years of age on the day of the show. Intermediate: At least 12 years of age but less than 15 years of age on the day of the show. Senior: At least 15 years of age but less than 18 years of age on the day of the show. Juniors are judged on their ability to present, or handle, their dogs within the same formats and guidelines as those who compete in the breed ring. The quality of their presentation, not the dog, is judged. Any dog entered must be eligible to compete in dog shows or obedience trials. The dog must be owned by the child, a member of the child’s family or member of his household. Many times junior showmanship classes are offered at a reduced rate (if the dog is entered in regular classes). If you are interested in Junior Showmanship, stop by the information desk at the main entrance.